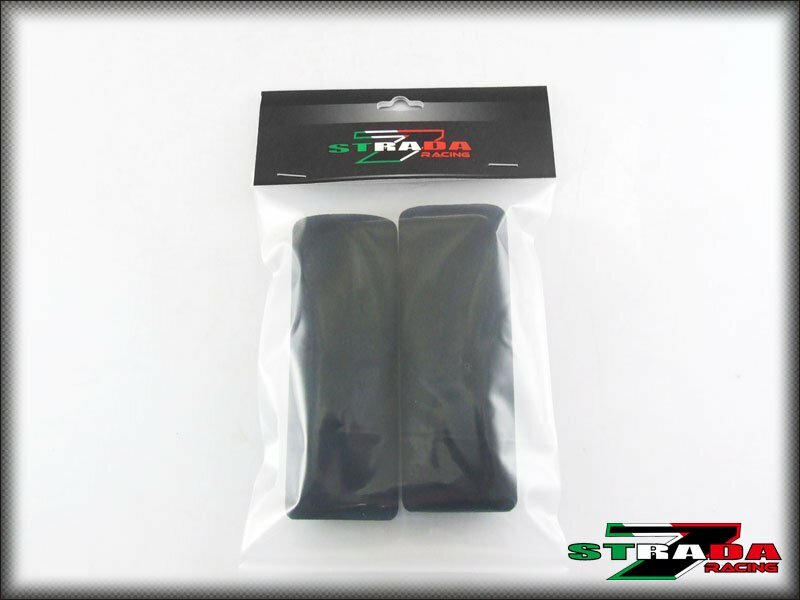 New Page 1Strada 7 Racing Comfort Grip CoversfitsBMW R100 CS Paris Dakar R Classic RTStrada 7 Racing Grip covers slip over your existing grips. They reduce vibration and give you a softer feel, reducing hand and wrist fatigue, soyou won't have that tingly feeling in your hands after a long ride. Some sportbikes with low handle bars, many riders complain of sore palms from leaning on the grips for so long, with Strada 7 grip covers, these problems will be a thing of the past! Comfort grip coversallow you to ride in more comfort, especially on those long rides. Perfect for the daily commuter, tour rider, and sport riders alike.Made of a special high tech material that is U.V.,ozone and oxidation resistant. Foam will not weaken or crack as a result of years of outdoor exposure. Wall thickness isapproximately .15 inches (0.38cm).Strada 7 Grip Coverswill fit OVER all standard grip sizes.They will fit standard bars sizes andgrips. They are 5" (12.7cm) long and will fit grips that are 1.25 (3.17cm) to1.45 (3.68cm) inches in diameter. (remember these fit OVER your standard grips, you don't need to remove them)Strada 7 Grip Covers can be trimmed to length with a exacto knife or similar if needed (using appropriate care! )Easy installation, just add a bit ofsoapy water to help slide them on, once the water dries up, you're ready to go!Will also work with heated grips.